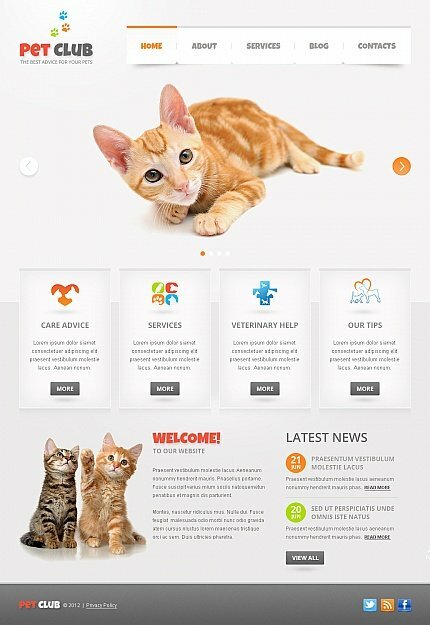 Animals and Pets : Template 41013 is especially good for veterinary, animal hospitals, pet stores, pet supplies, animal services, pet clubs and pet-related on-line stores. Bonus with every purchase With each template purchase you get Free Web Design Elements: photos, fonts, icons, 3d models, sounds. Buy template 41013 from zeronese today and get access to the Free Clipart & Free Web Design Elements library.